Sri City, June 5, 2017:- Sri City, one of the largest integrated business cities of the country, with its strong commitment to sustainable growth and environment safety, celebrated World Environment Day on Monday. 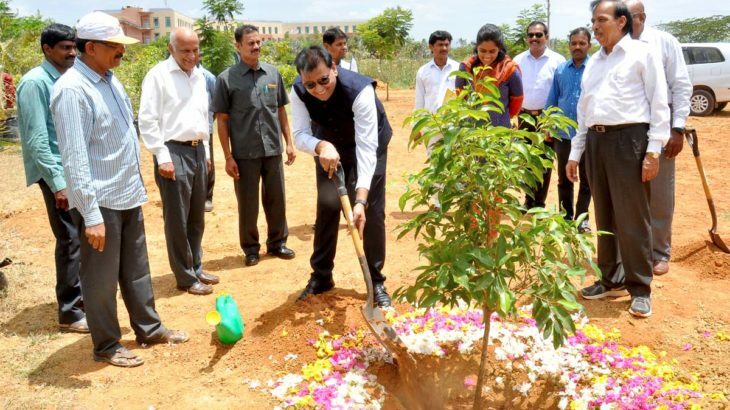 Mr. P.S.Pradyumna, IAS, District Collector, Chittoor took part in the event and planted samplings. Mr. Pradyumna stressed the importance of increasing green cover for the protection of environment.Mr. Ramesh Subramaniam, President Sri City Foundation extended a warm welcome to the Collector. A host of employees actively took part in the plantation programme.